A storm came through last month, and a homeowner needed us to come out for some roof repairs in Mason City urgently. There was more rain to come later in the week, and a big tree branch had broken through a part of their roof. We understood the urgency with this homeowner as we provide emergency roof repairs. We let the homeowners know that our qualified team would be out that same afternoon to assist them. The storm damage repairs were about to begin. Our team arrived at the Mason City residence as quickly as we could. The team noticed the major damage that had happened during the storm. The team got on the roof and thoroughly checked out the roof, then gave the homeowners an estimate that they were comfortable with. The team let the homeowners know that we could assist them with their homeowner’s insurance claim and they really appreciated that. It was really a good thing that we came out when we did, because the forecast for the week had a lot more rain on the way. Some of our crew members noted that if this roof repair job wasn’t completed quickly, the homeowner may be in for some really serious water damage inside the home. Of course, if it rained while we were working it would be a really dangerous situation, and we would probably not be able to continue. The team immediately went to work removing the large tree branch that was on the roof, then the team started repairing the roof. The team was able to have the roof repairs done by the end of the day. The customers were amazed how quickly and effectively the team worked. 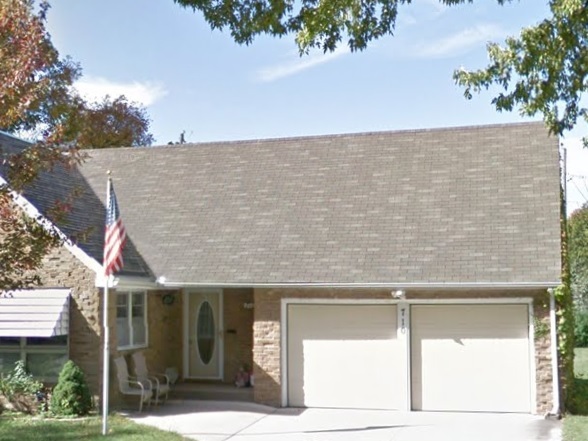 The customers said that they plan on having a new roof installed within a year or two, and they would call Greiman Construction because we showed them that we are the roofing contractor that they could trust and depend on even during a trying time. Thankfully more rain did not come before the roof was completely repaired. The homeowner was really relieved at this. By the time we were finished, there was a very marked level of stress that was gone from our customer. It always feels nice for us to be able to help someone like this. Part of our dedication to the area is that we know we are serving our neighbors, and literally making sure they are protected from the elements. Although emergency services can seem somewhat costly, in this case it probably saved the homeowner thousands of dollars in potential damage. We were, of course, very glad to be able to help them and avoid what could have been an awful situation. For years, Greiman Construction Services has been providing roofing and exterior services in the Garner area. We are certified and insured. We specializing in residential, commercial roofing and exterior services.